If you’ve suffered a personal injury, you might want to consult with a personal injury attorney. But first, you need to understand what constitutes a personal injury. 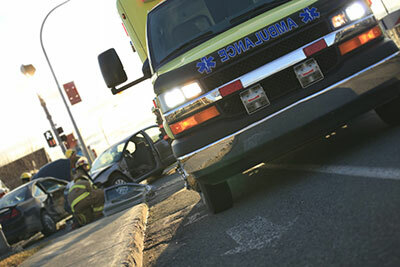 A personal injury is any type of physical and/or emotional injury to a person. A personal injury can be temporary or permanent in nature, or even result in death. What are potential causes of personal injury? Personal injury claims can be the result of falls which occur on property owned by businesses or other persons. The liability of the owner of the property is not automatic, however. It must be shown that the landowner was negligent and that the negligence caused the fall. For example, if you fall in a restaurant and can prove that the material on the floor that caused the fall was the result of something done by an employee or that it was on the floor for such a long period of time that it should have been recognized and removed, the restaurant may be responsible for your injuries. Similarly, if a landowner knows that there is an unreasonably dangerous condition on his or her property that is not observable to guests, injuries caused by the defect may also be compensable. Personal injuries may also be the result of negligent medical care provided by a health care provider. If a healthcare provider fails to meet the applicable standard of care and that failure results in injury to his or her patient, the health care provider may be responsible for all of the patient's damages. These include out-of-pocket expenses, such as lost income and additional medical bills, as well as past and future pain and suffering. Personal injuries can result from nursing home negligence or the negligence of assisted living facilities. Personal injury analysis also applies to medical, legal, architectural and accounting malpractice cases. Those professionals are all required by law to meet certain minimum standards of competence in their professional practice. If their actions fall below that standard of professional care and an injury or damage results from that failure, then the patient or client may be entitled to money damages. How Can I Be Compensated for My Personal Injury? If an injured person can establish that their injury resulted from someone else's negligence or misconduct, then the wrongdoer may be obligated to pay compensation for those injuries and the other losses sustained. When evaluating a potential suit based on personal injuries, the first and most important thing your lawyer should do with you is evaluate the facts and circumstances of the events in question. Your lawyer should be able to work with you to determine whether or not your injuries were directly caused by someone else's actions. The lawyer should then evaluate the claim with you to determine whether or not those injuries or damages resulted from the breach of some duty by that other person. When deciding which lawyer or law firm to retain for your injury claim, you may find it very useful and informative to review our five tips for choosing an attorney. If you have suffered a personal injury, you may be eligible for compensation. To determine if your situation qualifies, you should meet with experienced personal injury attorneys who can get results, such as the team at Wolter, Beeman, Lynch & Londrigan, LLP. The attorneys at Wolter, Beeman, Lynch & Londrigan, LLP have worked on many personal injury cases and represent clients in Springfield, Illinois and surrounding areas including Jacksonville, Lincoln, Decatur, and Litchfield. We never charge for a consultation. Contact us today to learn more.